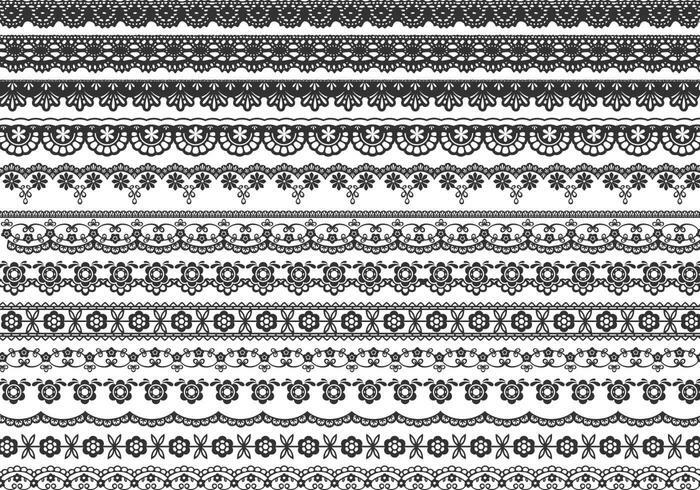 Lace Border Brushes Pack - Free Photoshop Brushes at Brusheezy! Line all your work with exquisite lace with this new Lace Border Brushes Pack! Included in this pack are thirteen different lace border brushes that all have unique designs and styles. These lace border brushes would be perfect for adding trim to invitations or scrapbook pages - anything you can think of! Also download the <a href="http://www.vecteezy.com/ornaments/57401-lace-border-vector-pack/premium">Lace Border Vectors</a> over on Vecteezy!